Get happily lost in a Bermuda Triangle. 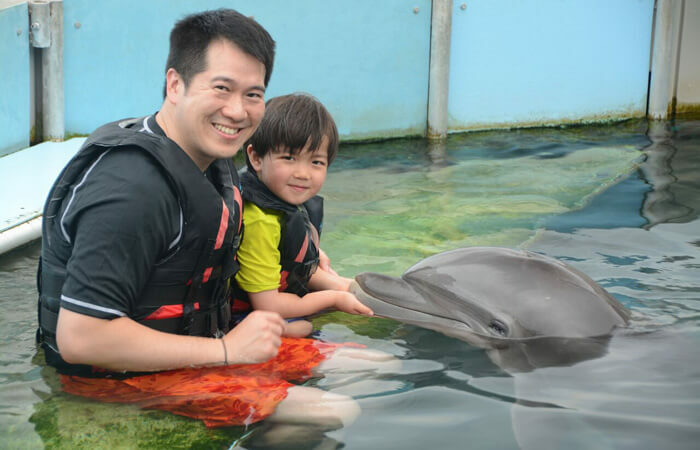 Spend the day having fun swimming with our beautiful dolphins in their ocean water safe haven. Within the old stone fortress now home to National Museum of Bermuda, one of the world’s most extraordinary naval history museums, are the beautiful creatures of the ocean. 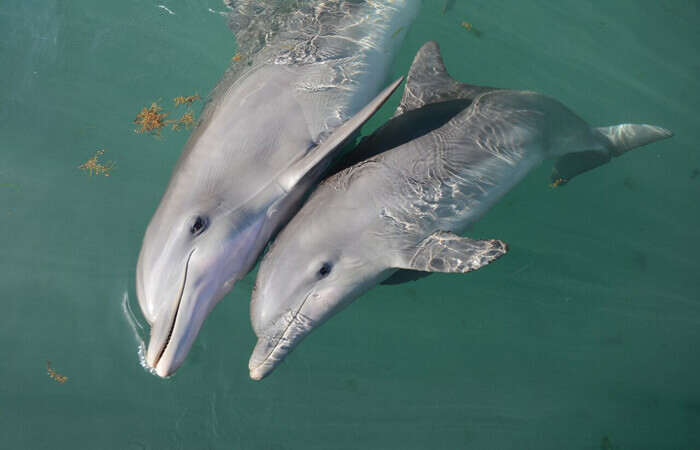 Meet Ely, Bailey and our big dolphin family face-to-face at Dolphin Quest Bermuda, set among Bermuda’s exciting dockyard restaurants, shops and giant cruise ships. 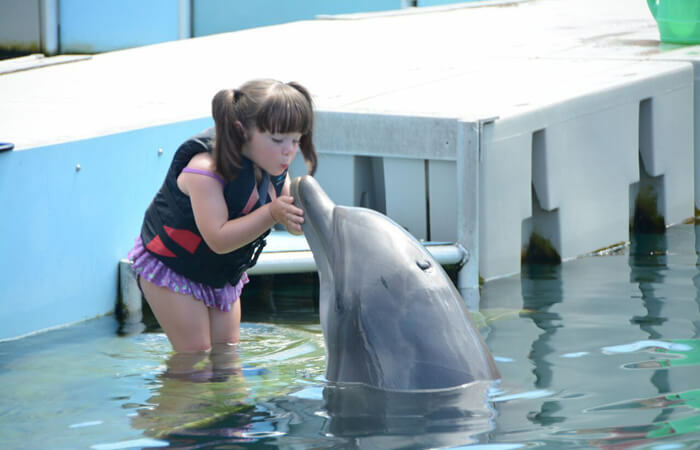 Create a magical multi-sensory connection when you touch a dolphin that will touch your heart. 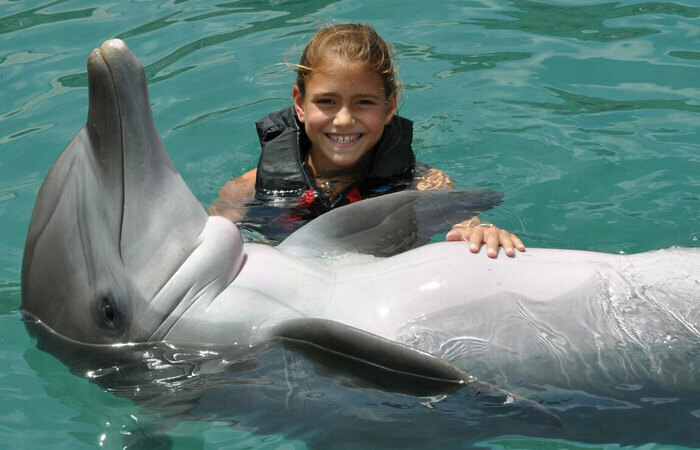 Dolphin Quest Bermuda is located at The Royal Naval Dockyard, Bermuda’s premier shopping, dining and entertainment destination and cruise ship terminal, and just a short, scenic ferry ride or taxi ride from anywhere on the island. Central Reservations office at 800.248.3316 (Mon. – Fri. 8am – 9pm EST).